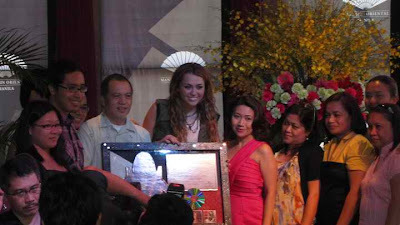 Miley Cyrus is now here in Manila, Philippines for a one-night "Live in Manila" concert at SM Mall Of Asia (MOA) Concert Grounds Friday, June 17, 2011. 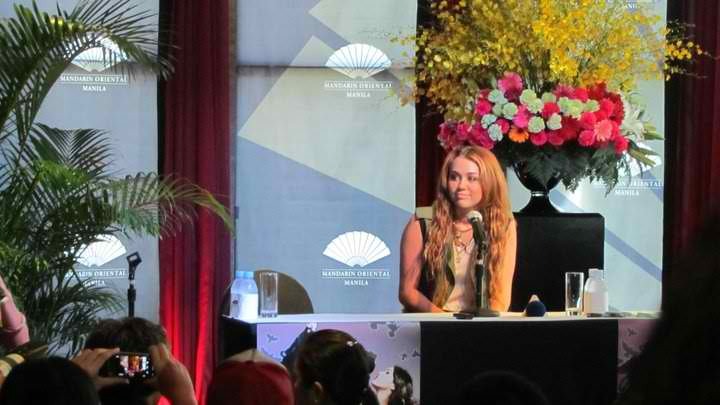 Miley arrived late night Wednesday and had to hold a press conference Thursday afternoon at the Mandarin Oriental Hotel in Makati City. 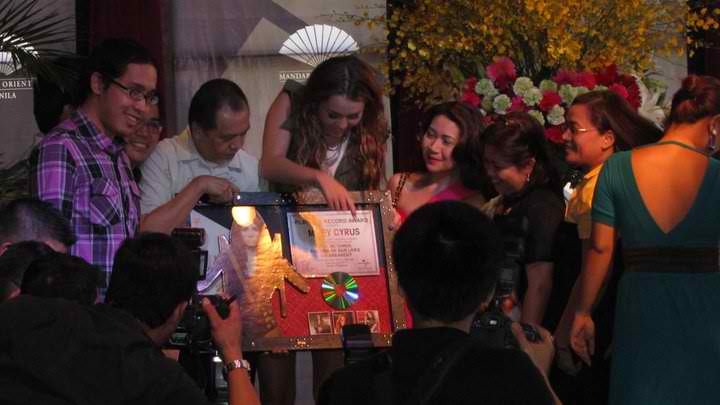 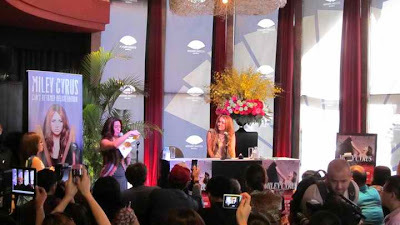 Miley was also awarded at the presscon with a Platinum Records Award by MCA Music (Universal Philippines) for her three albums: "Can't Be Tamed", "Breakout" and "The Time Of Our Lives". Prior to the press conference, Miley made a guesting on GMA 7's "Eat Bulaga", the Philippines' longest-running noontime show. Miley's hit songs include "The Climb", "Party in the U.S.A." and "Can't Be Tamed".